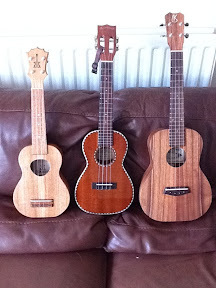 You will have seen in many posts on Got A Ukulele that I do sing the praises of ukulele clubs and societies as being great places for the beginner to learn and build confidence. I keep a growing List of clubson this very site and you may have seen my earlier post about jamming and performing which recommended the same. But what if there is no club near you? Could you start one up? Why not! Starting a uke club isn't actually as tough as you may think it would be. When you break it down it comes to venue, promotion and organisation. Read on for some tips. Now unless you are expecting an enormous growth in membership, you are not going to need the Royal Albert Hall, but bear in mind, as a club grows you may also regret choosing the six foot square back room with four chairs. The most obvious venues are pubs, clubs and village halls. Whichever you choose, think of somewhere easily accessible and you must of course get permission. You may find some venues want to charge, but conversely you may find that many, pubs in particular may welcome the trade and offer you a room or a corner for nothing on the basis it brings more punters in. Explain that you are not intending to make huge amounts of noise (ukes are acoustic!). In terms of what the room needs to provide, unless you are going to provide lots of sheet music stands at your own expense, you need a room with enough seats, but more importantly large tables for people to lay out song sheets, tuners etc, without anyone feeling out on a limb. This may require some table re-arranging before the club meets, but it will be far better for everyone to see mostly everyone else. Beginner ukulele players benefit massively from being able to watch the finger positions of other players. Also think about the appropriate day to suggest to the venue owner (and time). Inn the case of a pub you would be silly to expect to get the front room reserved at 8pm on a Friday. For this reason, most clubs seem to meet midweek in the evening. Frequency is one to discuss with future members. Some clubs are weekly, but more frequently people seem to meet every other week or once a month allowing members time to practice between sessions. The most obvious place to advertise is the venue itself. Ask if you can put up some flyers with details of the event in the pub or club, particularly in the windows. You could go further and put some flyers up on lampposts in your town (but remember, Bill Stickers will be prosecuted....) or hand them out around town. Keep them fresh and replace any tatty ones and get your friends to spread the word too. Scout the local papers, particularly free ones as some do offer free listings in their entertainment sections on occasion. If you can get a free listing, use it! Beyond that, the Internet is your friend. There are a multitude of ways you can spread the word, but the three I'd recommend are Facebook, Twitter and a blog. On Facebook as well as announcing the club on your page, announce it in the various ukulele groups that exist. Check out groups that are for your town and do the same. At the same time set up both a Facebook page for your club, and a group to add members too and promote both in the same way (but don't spam!). Then more links you have flying around, the better. On twitter, make your announcement using the hashtag #ukulele and also a hashtag for your town such as #Warwick or #Idaho. People search those tags and you may get a bite. A blog is more hard work, but it would be good for your club to at least have a homepage with club contact details, address etc. If your club grows successful you can then use your blog to add song sheets and news to. Promotion is hard work, and having like minded friends to help will be a real boost. In fact having a friend who plays uke joining you will ensure you are not sat on your own on the first night! How you run your club, it's structure, its style is entirely up to you and the members. What I would suggest though is on your first night you don't dictate or get hung up on structure to early. Speak to your members, find out what they want, what they like to play, how frequently they want to meet and so on. Get those issues ironed out early and you will have happy members, but remember toehold regular review and feedback sessions with them! Members are going to need music to play and as the organiser you need to make the first efforts in getting some chords and lyrics to simple songs with a broad appeal printed off. Please don't just steal someone elses hard work, try to create your own, with a bit of work on Word you will soon have something that looks presentable. The easiest way to get these out to your gang is to email them well in advance or you could be kind and print off a set of song sheets for everyone. I highly recommend an A4 four ring binder containing plastic clear wallets to hold sheets. These allow songs to be moved about easily and the plastic stops them getting dog eared. Most importantly with organisation though, you started the club, so you need to commit to it. You need to be the inspiration to ensure people come back. Don't look bored (or worse not turn up) on the second meeting. As a club grows in size, others will offer to help and your admin burden will drop! But those are just my thoughts. A successful club needs to be democratic and flexible. What suits one player doesn't necessarily suit another so listen to each other. Most of all, just get out there and play with others - it's hugely rewarding! A very good blog which has given me some insight to what I need to do.